I also believe, this website, with many of its useful links, will give you enough information not only to know about our church but also about the christian faith. where you feel that you belong for you are valued by the Lord and He has a purpose for you, He's placed within you special gifts, He longs for you to use and we, as a church, would love to see You grow your gifts, For then we all can receive a blessing with what God's blessed you with. ﻿﻿﻿﻿﻿﻿﻿A.C.K. St. Matthew's Rurago is a anglican church Rurago parish, ts daughter church is A.C.K Mariki. St. Matthew's Rurago is in Maragua deanary which is Kahumbu Archdeaconry. 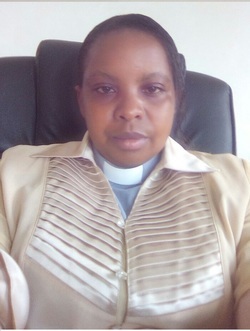 It is found in the Diocese of Murang'a south which is under the leadership of Rt. Rev. Julius Karanu. We are located in Murang'a county, Maragua sub-county few meters off Murang'a to Nairobi highway. ﻿﻿​The polity of the Anglican church of Kenya is the Episcopal church governance. in the diocese. This type of governance has been described in 1st Timothy and 2nd Timothy. A growing and caring Anglican Church boldly proclaiming Christ.